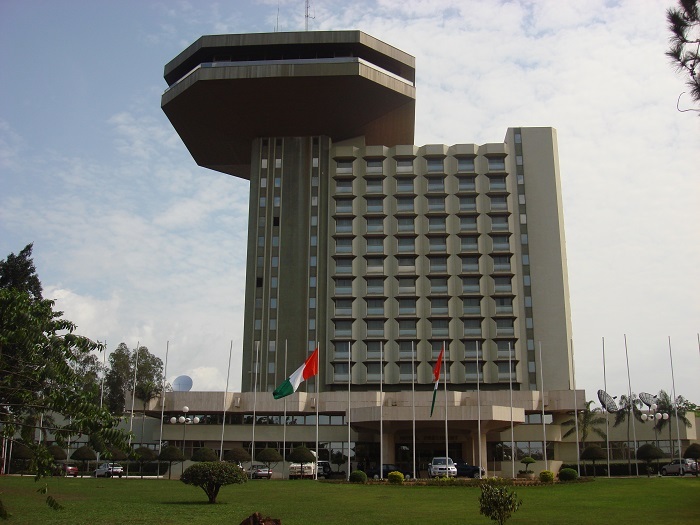 Hotel Président is a unique building that is used as a hotel and it is located in the political and administrative capital of the Republic of Côte d’Ivoire, Yamoussoukro. 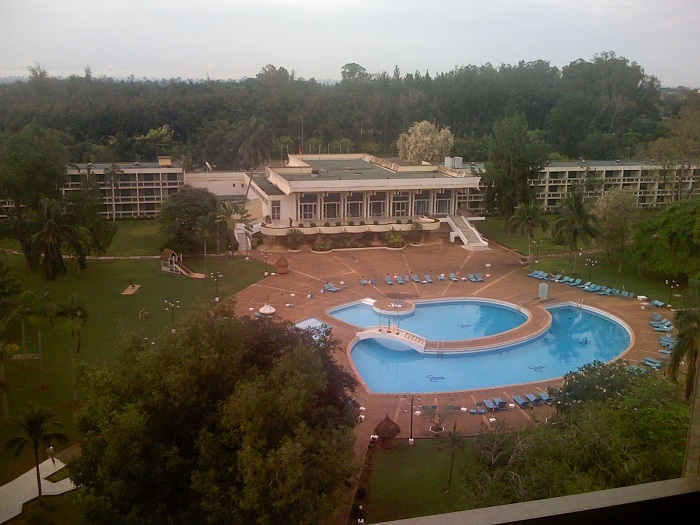 Spread on a surface area that has around 25 hectares (62 acres) of land, the hotel consists of a classical building which was built in 1973, and later in 1980, a tower next to it was additionally built in order to host a panoramic restaurant. 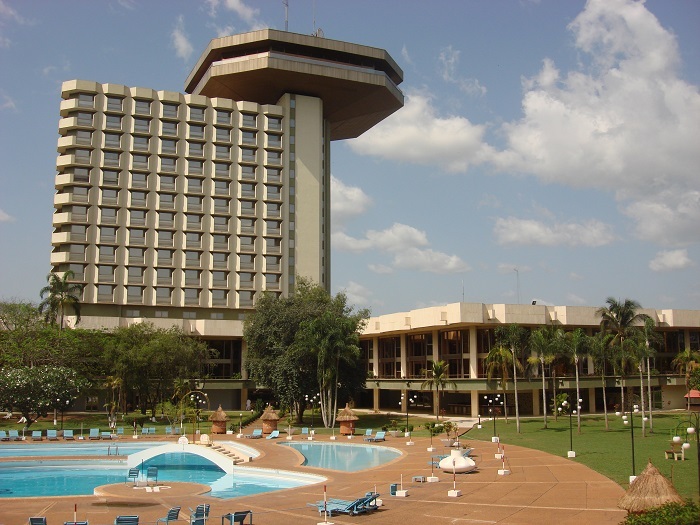 Designed by the French-Tunisian architect Olivier-Clément Cacoub, the hotel building represents one of the most interesting and underrated architectural marvels in Yamoussoukro, that dominates the entire region. 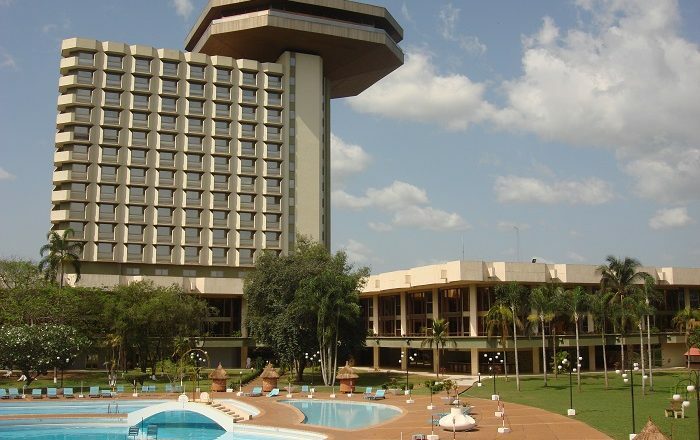 Accommodating around 800 guests in its rooms and suites, the idea for the construction came from the then President Félix Houphouët-Boigny, who in 1983 made his hometown Yamoussoukro the capital of the nation. 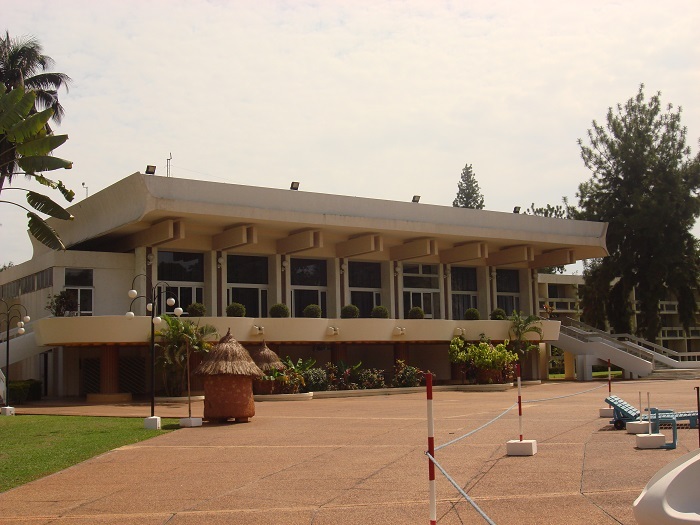 In addition, there are 16 conference rooms and 4 restaurants on the premises making Hotel Président one of the most well known, prestigious buildings that give monumental and futuristic feeling whenever in front of the structure. With the last renovation that took place in 2005, every one of the 14 floors are nowadays sparking modernism as Cacoub envisioned, and it shall continue to be the place where events will take place, while the guests are enjoying in the flowery park that surrounds it.